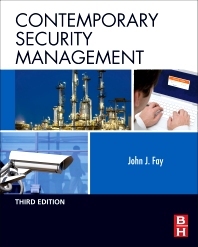 how to organize, plan, develop and manage a security operation. how to determine the protective resources required to offset threats. how to implement all necessary physical and IT security measures. Security professionals share the responsibility for mitigating damage, serving as a resource to an Emergency Tactical Center, assisting the return of business continuity, and liaising with local response agencies such as police and fire departments, emergency medical responders, and emergency warning centers. At the organizational level, the book addresses budgeting, employee performance, counseling, hiring and termination, employee theft and other misconduct, and offers sound advice on building constructive relationships with organizational peers and company management.